“This case was about the truth. Now the truth prevails. These so-called crisis pregnancy centers engaged in insidious and deceptive practices to trick women in decisions about their bodies. These groups are entitled to be advocates, but they’re not entitled to break the law. False and misleading advertising by these clinics is a deceitful practice that preys on women when they least suspect it. 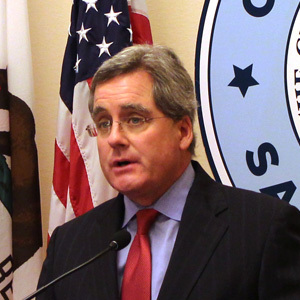 Supervisor Malia Cohen introduced legislation in 2011 prohibiting limited-services pregnancy centers in San Francisco from making false or misleading statements to the public about pregnancy-related services that the centers offer. While some so-called crisis pregnancy centers openly acknowledge their pro-life advocacy, many misleadingly target women in search of abortion services though false advertising — and then employ manipulative and fear-mongering tactics on their visitors to dissuade them from obtaining abortions. Crisis pregnancy centers commonly offer few services other than anti-abortion rhetoric, but the proliferation of Internet search engines has given anti-abortion centers an effective way to misrepresent themselves as bona fide clinics, offering prominent paid links in response to search queries for “abortion,” “emergency contraception” and related terms within their region. First Resort Inc., whose stated goal is “to build an abortion-free world,” sued San Francisco in 2011 over the City’s advertising ordinance. First Resort alleged that the ordinance was a violation of their free speech rights. A federal judge upheld the ordinance in 2015, and the U.S. 9th Circuit Court of Appeals upheld it in 2017, noting that the ordinance regulated only unprotected commercial speech and was valid under the First Amendment. The U.S. Supreme Court today denied First Resort’s appeal of that ruling.